A list of our most Frequently Asked Questions (FAQs). Templates for food safety plans and recall plans, available as Word Documents or PDFs. An easy reference for busy cheesemakers-especially small- to mid-size producers. This guide highlights the key requirements, suggestions, and practices. Condensed into an easily digestible format, and written in accessible language. Innovation Center for U.S. Dairy publication on Listeria Control. Published by the Food Safety Authority of Ireland and Teagasc. This workbook is meant to assist cheesemakers in the development and implementation of a food safety management system based on the principles of HACCP. 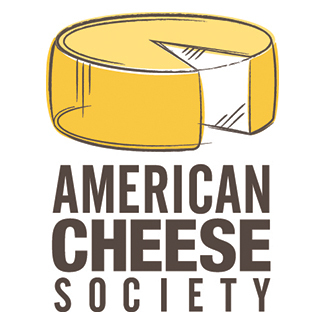 A scientific overview of the association of microbes with cheese, through the lens of select cheese varieties that result due to surface mold ripening, internal mold ripening, rind washing, cave aging, or surface smear rind development. Where can I find information about inspections? A general information document from the FDA on cheese producer inspections from the Center for Food Safety and Nutrition. IDFA's newly updated guide- available as a PDF or in print. Center for Dairy Research, and Marianne Smukowski. “Plant Inspections: Making a Good Impression.” Dairy Pipeline 28, no. 3 (2016): 6–7. I'm looking for templates and examples of how to write a Food Safety plan. Safe Cheesemaking Hub links to templates and forms to give you a head start on food safety planning and recordkeeping. What is the latest information about the use of wooden boards? Ismail, Rached, Florence Aviat, Perrine Gay-Perret, Isabelle Le Bayon, Michel Federighi, and Valérie Michel. 2017. “An Assessment of L. Monocytogenes Transfer from Wooden Ripening Shelves to Cheeses: Comparison with Glass and Plastic Surfaces.” Food Control 73, Part B (March): 273–80. doi:10.1016/j.foodcont.2016.08.014. The International Dairy Federation 2016 Factsheet on the use of wood in cheese ripening. Where can I find the contact information for my state regulating agency? How can I find classes and workshops to learn more? Where can I find the Code of Federal Regulations Standards of Identity for Cheese? The Standards of Identity can be found in Title 21, Part 133 of the Code of Federal Regulations. Where can I find the regulations regarding product labeling? Federal Food Labeling regulations can be found in Title 21, Part 101 of the Code of Federal Regulations. The Food Safety Modernization Act, or FSMA (Fizz-Ma), was signed into law by President Obama on January 4, 2011. It shifts the focus of ensuring the US Food Supply is safe from responding to contamination to preventing it. FAQs about HARPC from a similarly named consulting group. By when do I need to comply with FSMA regulations? Compliance dates for businesses are staggered over several years. Follow this link for more information about the final rule, as well as updates about extensions. Where can I find information about sanitary design of equipment and plants? Three e-Learning interactive courses that cover principles of hygienic design of equipment, facilities, and environmental controls.